This book was given to me by the author for an honest review. 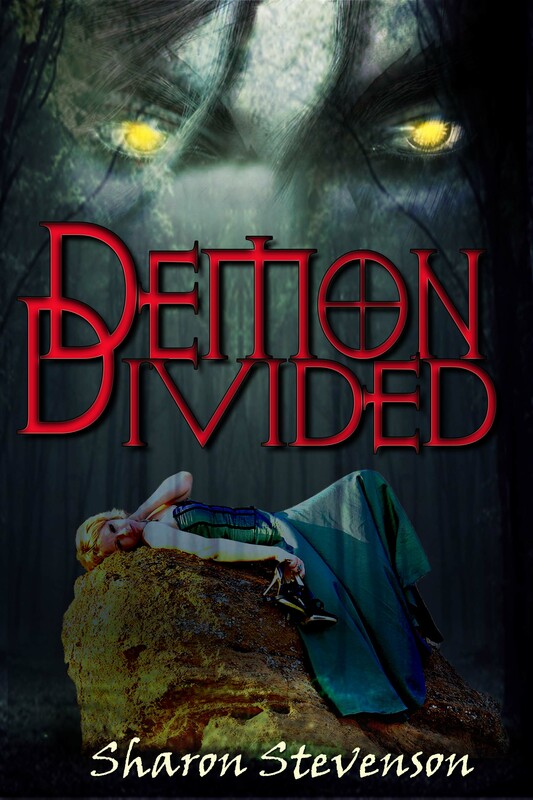 Demon Divided was a fast paced, smart talking, and well written book. I love the Gallow siblings but my favourite being Shaun. Don't get me wrong Sarah is pretty cool but her love life is too crazy for me to keep up with, between Dev, Ray, Ben and now War, O and a pet wolf, it's just to crazy. With Shaun it's just Elle which I love and Elle had me laughing so much throughout this book. The three main Characters Shaun, Elle and Sarah are all smart mouths giving you plenty of laughs throughout the book.But the story is also very gruesome, a lot of heads get cut off, and hearts ripped out. it was far more gruesome than the first book. At first I had no idea where the plot was going a lot of deaths and a lot of involvements, but when Shaun gets his auntie's Diary it soon puts everything into place, and with Sarah creating more problems then necessary you have a lot of sub-plots but they are all tied together. I'm left still with lots of questions. War being one of them, but i also wonder is Elle really who she says she is, her name changes too much, she talks a lot but says nothing really. and what about Will? or will the council finally catch up with the Gallow Siblings. Sigh I guess I will have to read the next one to find out.